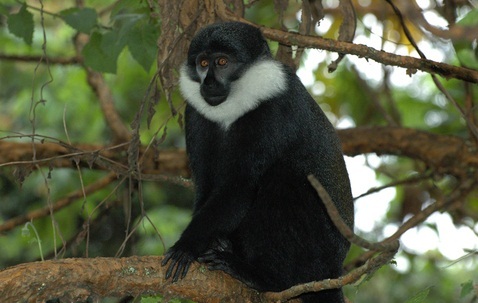 Uganda is currently the popular safari destination for primate safaris in the whole world, simply because of its warm tropical climate with two rainy seasons and the dense forests that has attracted a great number of primates. Uganda is a home to the big five animals, more than 300 bird species, 120 butterfly species and more than 10 lakes for marine and fishing safaris. Uganda is the only safaris destination in the whole world where you can encounter gorilla habituation and gorilla tracking, gorilla habituation trek in Uganda is carried out at Rushaga area of Bwindi Impenetrable National Park in western Uganda a process which is led by shadow primatologists and well trained park rangers habituating wild mountain Gorilla troops will lead you to the dense forest to see our giant cousins in their natural habitat. Chimpanzee habituation and chimpanzee trekking, Chimpanzee habituation is remarkable encounter with the chimpanzee – Kibale National Park is the only park in Uganda where you can trek chimps the whole day. In Uganda you can trek Chimps in Kibale National Park, Budongo Forest National Park, Queen Elizabeth National Park @ Kyambura Gorge the hidden haven of Africa, Semuliki National Park, Ngamba Island among other parks and reserves in Uganda. Kindly book with Adyeri Creations Limited so that we organize for you a wonderful and tailored primate safari in Uganda.